A Market Rasen charity shop has issued a ‘desperate’ call for more volunteers to work in its Queen Street store. Age UK Lindsey urgently wants to hear from anyone over the age of 18 who would like to give something back to the community. Volunteers are a lifeline to the charity shop - and it would not be able to function without their hard work. 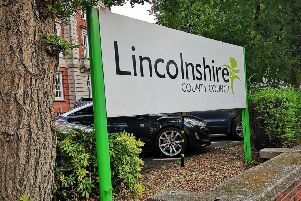 Market Rasen Age UK Lindsey shop manager Dianne Cresswell said due to the shortage, existing volunteers were having to do extra work to keep up with demand. She said: “We’re only just about coping. We desperately need more volunteers. “It’s a good way to give something back to the community. “It’s a good cause, helping to support the older generation. “Being a volunteer is a good way to learn new skills, meet people, stay active and make new friends. There are various shifts available including full days (9.30am to 4.30pm) and half days (9.30am to 1pm or 1pm to 4.30pm). Volunteers will also help to run specific charity events and raffles. Age UK Lindsey service manager for volunteers, Nicki Lee said: “Volunteering is very rewarding and we have people of all ages and with different skills who all come for different reasons. Market Rasen Age UK Lindsey’s next charity event is being held at the shop tomorrow (Thursday, March 29). Residents are invited to go along for tea, cake and chat between 9.30am and 1pm. For details about volunteering call Nicki Lee on 01507 524242.